Tiger Stripe butterflies elegantly fluttering over flowers, vigilant wide-eyed Barking Deers and swift Sambar Stags are among the few sights you can witness at the BRT Wildlife Sanctuary. This protected reserve is home to an ecosystem that is unique to both the western and eastern ghats. This tiger reserve is a must-visit for photography buffs, wildlife enthusiasts and nature lovers.There are a number of resorts and home stays that cater to the needs of the avid traveler. A jungle among the clouds, BR Hills is a wildlife destination. The BRT Wildlife Sanctuary, recently declared a Tiger reserve, has recorded 26 species of mammals and 254 species of birds. The Biligiri Rangaswamy Temple holds the giant 1 foot slippers of lord Rangaswamy, who is said to have roamed the jungles nearby. A jungle soaked in legend, BR hills is a heaven for anyone whose passion is nature. Visit the centuries old Biligiri Rangaswamy Temple ;Time to visit: June to November;BRT Wildlife Sanctuary;Trek to DoddaSampige, a Solia tribe holy area. Trek to DoddaSampige, a Solia tribe holy area. 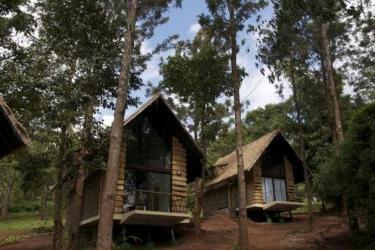 Located in the biologically diverse Biligiri Rangan Hills and committed to eco-tourism, Gorukana is the ideal choice for any nature lover. Experience safaris, treks, Ayurvedic Rejuvenation, a chance to experience the local tribal culinary practices, or an opportunity to volunteer at the nearby schools and at their organic farm. Ultimately, you are cocooned in a cloud of happiness, for having fun, that also served a good cause. A unique blend of a wildlife sanctuary and hill station, at K Gudi Wilderness Camp you can spot hills, valleys, streams, myriad wildlife: leopards, gaur, spotted deer, elephants and maybe even the elusive big cat! Its location inside the Biligiri Rangana Temple Wildlife Sanctuary makes it possible for you to go on a wildlife safari or a guided trek. Rouse the adventurer in you! 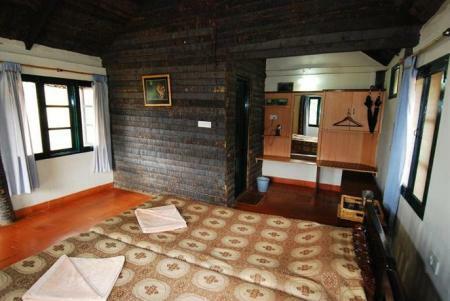 Nijaguna Residency is a 'this-is-it!' place for a perfect holiday with your dear ones or for a quiet weekend getaway or even if it is a corporate outing or out of office workshops. Here at Nijaguna Residency, we have something for everyone. 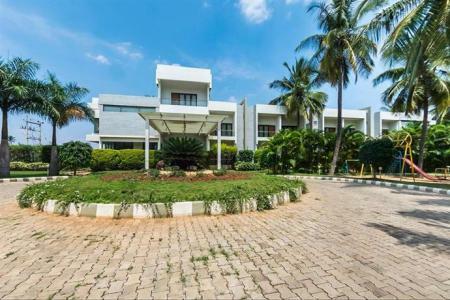 Nijaguna Residency is the only resort of 3-Star standards in Chamrajnagar and forms an ideal central location for your holiday by being close to several other tourist places like Bandipur, Talakad, Shivanasamudra(Bluff), B.R Hills, K Gudi etc. Nijaguna Residency offers numerous state-of-the-art facilities and there are many attractive packages, for you to choose from. BR Temple: A temple in between a jungle, BR Temple is dedicated to lord Rangaswamy. Be sure to visit to see the 1 foot sandals, believed to be worn by the lord to take a walk in the Jungle. 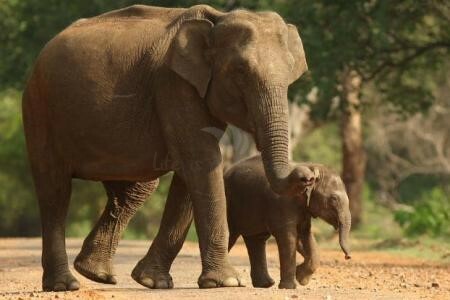 BRT Wildlife Sanctuary: A trek through the forest with a guide well versed in its antiquities, or an elephant safari, BRT Wildlife Sanctuary is as good as any other! Typically South Indian food, Mayura Prakriti, a state run enterprise serves both vegetarian and non vegetarian varieties. Be sure to try out Dhole Den and Tusker trails as well. Purchase products made by the local Soliga tribes. Many boutiques here offer products made by them to support their livelihoods. Climate: Being a hill station, the climate is pleasant for the most part, although summers may get a little uncomfortable. At other times, be sure to pack your woolens and carry an umbrella! Connectivity: Mobile connectivity might pose a problem. Do inquire with your place of stay before travelling. Cultural habits: Soliga is the indigenous tribe of the region. Trivia: The 1 foot slippers are replaced at regular intervals by the local tribes.